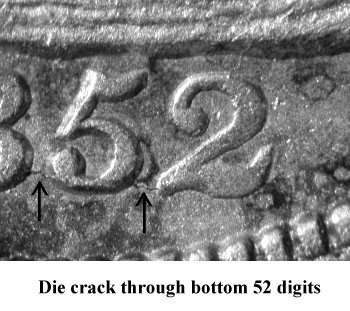 Comments: Since 1994, the question concerning origins of the 1852 F-110b (now renamed from F-110a) heavily cracked obverse remained unanswered. 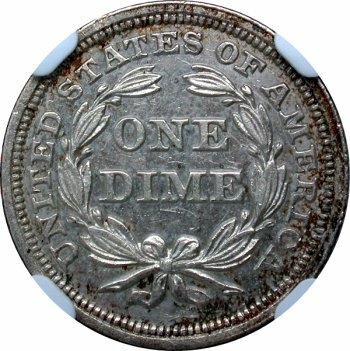 What type of coining event would cause such a massive obverse die disintegration? 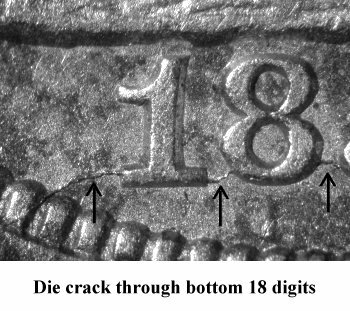 Was this die state the result of rapid die cracking or a slow progressive degradation of the die steel? 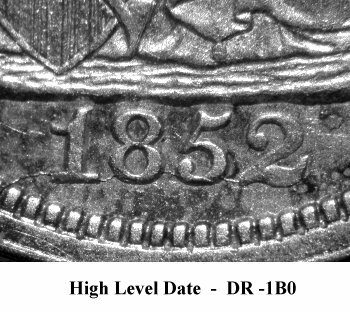 Clues finally appeared at the October 2013 Manchester NH show when Jack White approached the author with the above NGC AU55 plate coin. 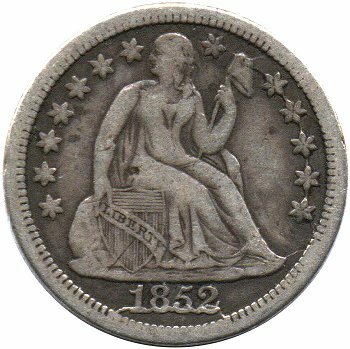 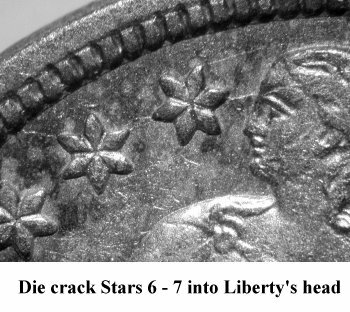 His dime was in an interim die state with earlier die state cracks through the date and thoughout the left and right stars into Liberty's head. 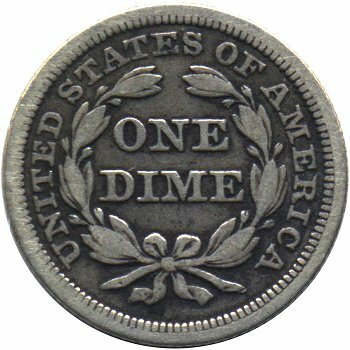 Amazingly, it was Jack White who discovered the terminal F-110b die state back in 1994 and sold the author the above dime afterwards. 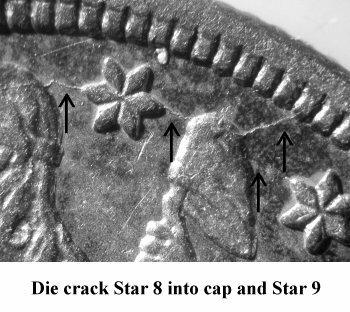 Reverse J is also faintly but intensively cracked on the AU plate coin. 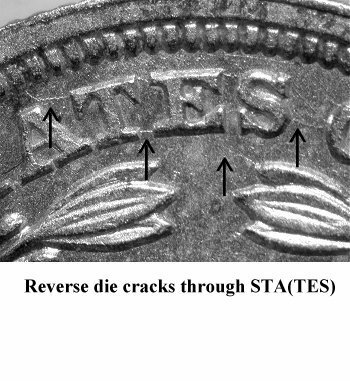 Since the F-110b plate coin is not available for study at the time of this writing, future checking will be necessary to validate that reverse dies are the same for F-110a and F-110b die states. 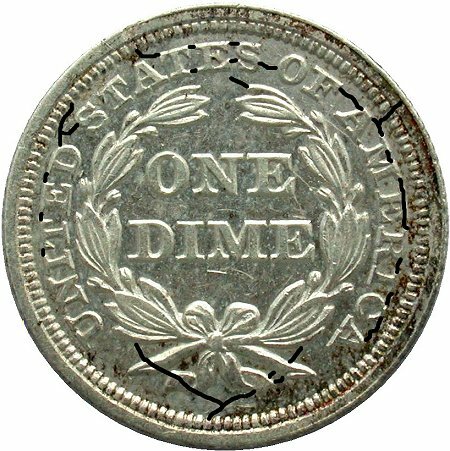 This interim F-110a die state is also considered to be rare since Seated dime specialists have been searching for examples of the F-110 interim and late die states for years. 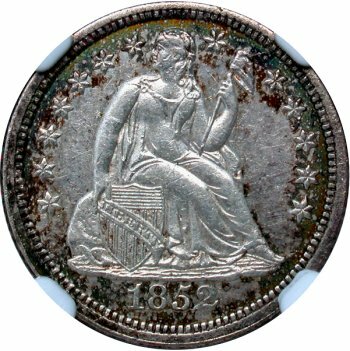 An initial rarity rating of R5+ (VF or better) is assigned with corresponding premium.